When Apple released iOS 6.1.2 earlier today, a lot of jailbreakers might have wondered, "Does it, er, break the evasi0n jailbreak?" Well, if you're one of those jailbreakers, you can rest assured that no, iOS 6.1.2 doesn't patch the evasi0n jailbreak. In fact, the evad3rs team has released evasi0n 1.4 for iOS 6.1.2. 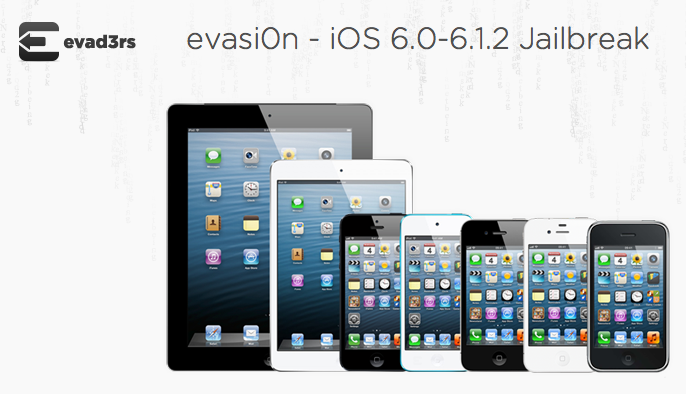 The newest version of evasi0n brings iOS 6.1.2 support only. So, if you've already updated to iOS 6.1.2, then evasi0n 1.4 is exactly what you need to jailbreak your iDevice. 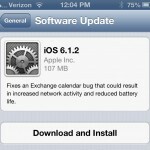 Apple released iOS 6.1.2 so as to fix a widespread Microsoft Exchange bug. As we reported earlier this month, the issue caused a continuous loop when trying to sync a recurring calendar meeting invitation. The new version of iOS was expected to also fix the recently discovered lock screen security bug, but that doesn't seem to be the case. It arrives just a little over a week after the release of iOS 6.1.1, which fixed an issue that could impact cellular performance and reliability on the iPhone 4S. Just hours after Apple came out with iOS 6.1.1, the evad3rs team managed to come out with evasi0n 1.3 to support the then just-released version of iOS. 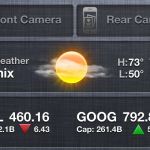 The prior versions of the jailbreak, evasi0n 1.1 and 1.2, were released to fix a Weather app bug, resolve an issue concerning reboot times, squash a time zone bug, and disable over-the-air updates. For more on evasi0n, which has become the fastest-adopted jailbreak method ever, check out AppAdvice's full jailbreak coverage here.